We now offer one admission package - our most popular All-Inclusive package. If a student is rejected, then +-$200 will be kept and the remainder of the package fee will be refunded. 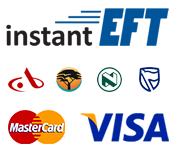 Please use a currency converter to determine the below costs in your own currency. As a group, we'll accompany you in China to get you settled in as well as assist in dealing with a range of tasks and procedures that are mandatory, before you'll be allowed to legally stay and study in China. 1 Application: This entitles a student to 1 MBBS application to the Shandong University. 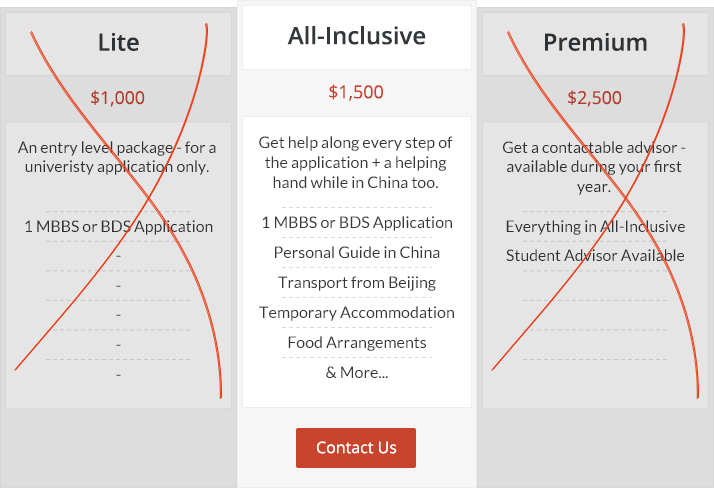 Temporary Accommodation: We will arrange and pay the accommodation costs for up to 2 days while we assist students in all the registration procedures to study medicine in China. Food Arrangements: We will arrange and pay the food costs for up to 2 days while we're assisting all our students in China. Personal Guide in China: A guide will accompany the group of students to assist everyone initially when they arrive. They'll show you around the university and assist or provide guidance on how students may get all the required documentation they need in China such as residence permits, Chinese visas, university cards and so forth. Transport from Beijing: Students will be accompanied, upon their arrival at Beijing Capital International Airport, and will be taken via either train or bus to their university (international students that aren't from South Africa will need to make prior arrangements with the Representatives if they anticipate that their flight will not arrive at the same time the South African flight reaches Beijing). Furthermore: Assistance in arranging private or university accommodation will be provided in addition to the other tasks that are planned. We'll arrange a common location to meet international students if their flights don't fly into Beijing around the same time that the South African flight flies in (we'll discuss it in due course, once we've received acceptance notices for all our applicants). It is important to sort out the correct permits and documentation before the deadlines, otherwise one could find themselves having to pay substantial fines in China when deciding to fly back home. Note: We do not represent the universities we apply to - our services are separate, as we are a separate entity.